We offer full-service interior and exterior painting and staining of any surface in your home. Our services include projects of any size or scale, from painting kitchen cabinets to painting a living room or the entire interior/exterior of your home. Replacing cabinetry can be expensive and, sometimes, unnecessary. 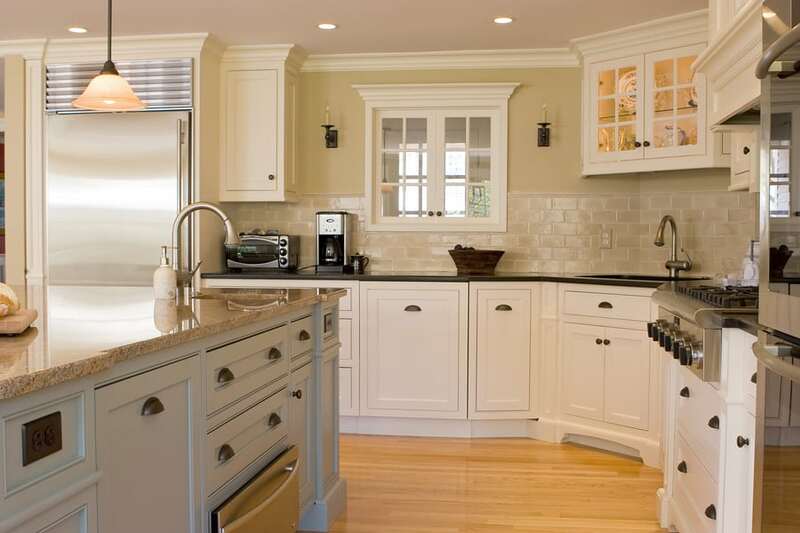 But, fresh paint can transform the look of your existing kitchen or bathroom cabinets. This is a great option if you like the layout of your existing kitchen and your cabinets are in good shape. Cabinet painting can be the smart and budget conscious way to go. 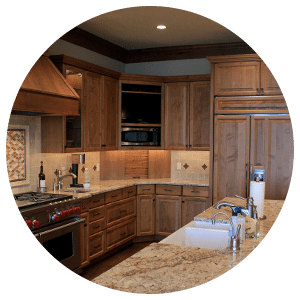 With almost 40 years of experience, we’re excited to get started and show you why we are the #1 Bellevue cabinet painter. 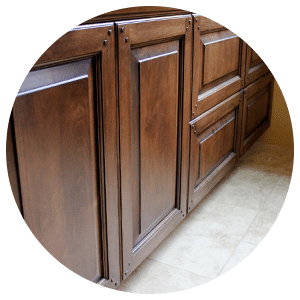 From dark, coffee bean colored stains to a clear finishes that highlight the wood’s natural grain, we can transform any cabinet surface to reflect your home’s style. Staining offers a rich, natural look to the wood surfaces in your home, adding both warmth and durability to your cabinets. 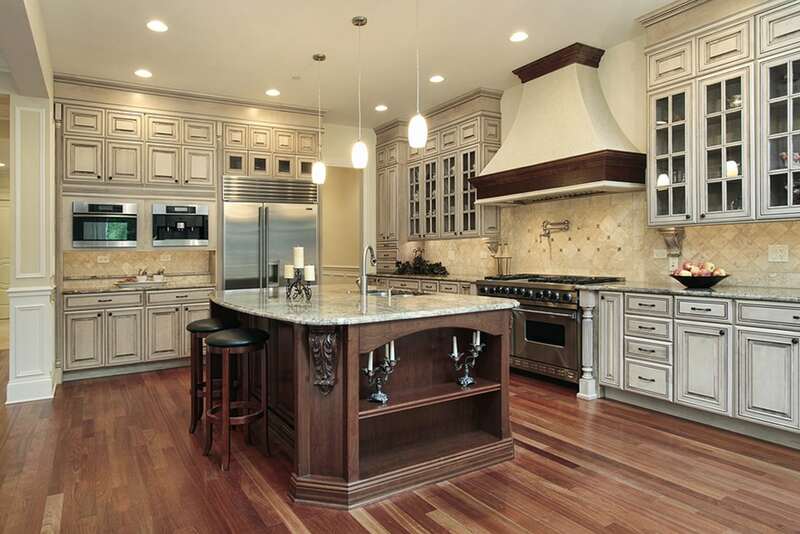 We specialize in new build out and refinishing old cabinets with precise color matching and design. 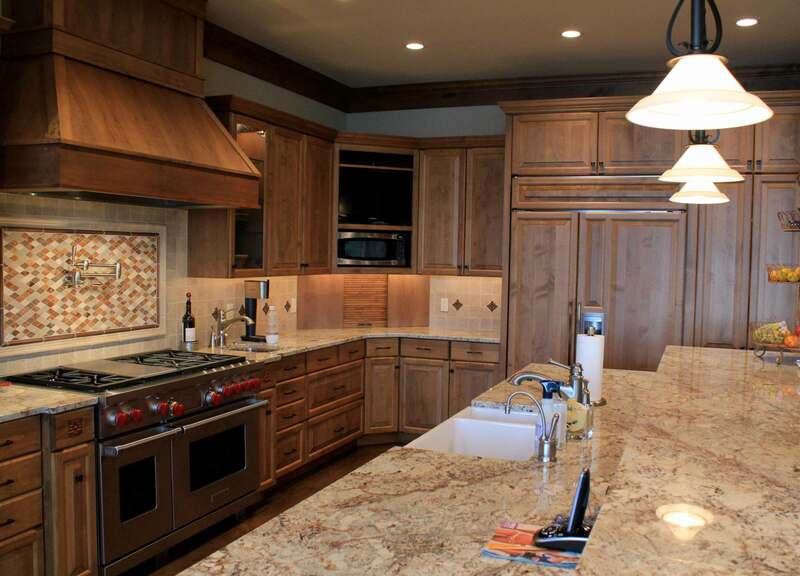 This allows our customers to bring to life the exact color and sheen they want on their cabinets. 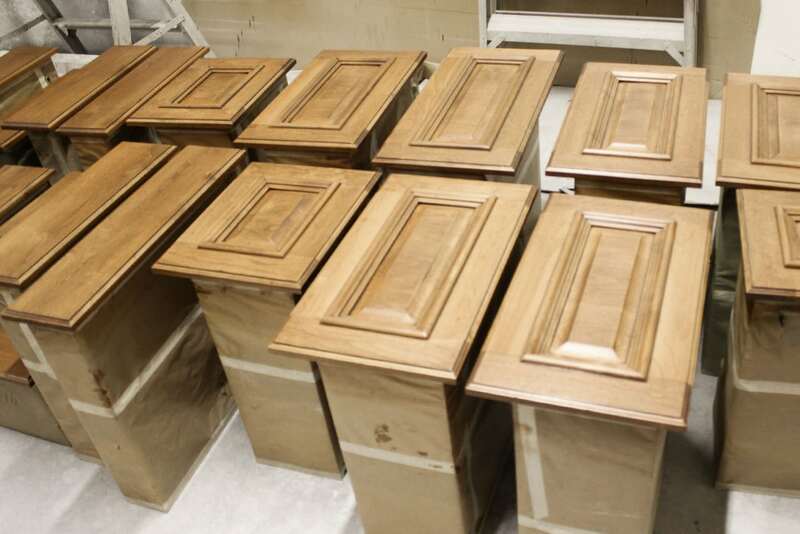 As the best Bellevue cabinet painter and staining, we’re excited to bring your vision to life. If you’re looking for a simple, effective way to add instant charm and appeal to the cabinets in your home, distressing is for you. Distressing a cabinet is the process of making it look aged, producing the appearance of wear that time usually causes. There are several ways to create the distressed look. We start with a few layers of paint, then add a glaze in areas where wear would naturally occur. If you’re trying to create a more French country look, glazed cabinets is for you. 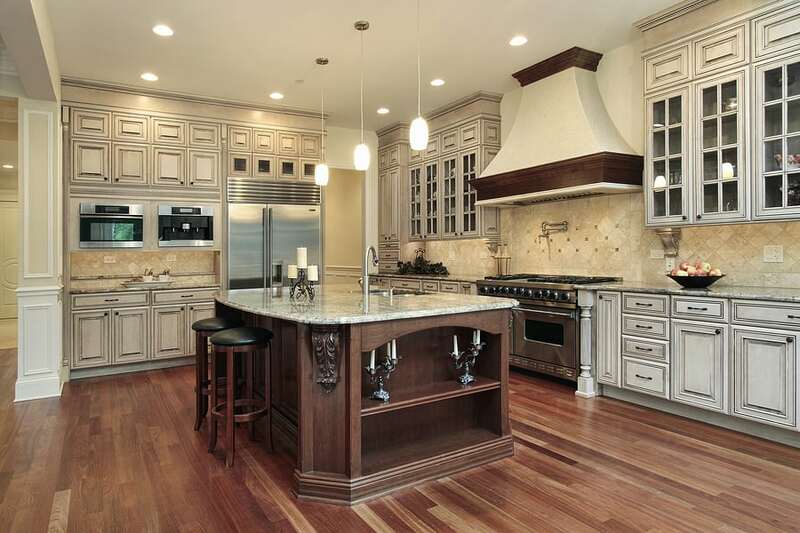 Seley Painting is proud to be the best Bellevue cabinet painter and offer custom finishes like glazing.